Genetic engineering is, at best, a debatable branch of science. For some, it’s the wave of the future: a method for perfecting the human genome, discarding flaws from infants before they’re even born and ensuring they live longer, healthier lives. For others, it’s an abomination: a method of circumventing what nature gave you, and wholly unnatural. Which one is right? Well, nobody’s ever going to agree on that. The debate over the merits of genetic engineering will probably soldier on until there are no more mouths to voice an opinion. Those who are yet undecided on whether genetic engineering in humans is good or not, however, may want to weigh the following pros and cons before coming to a final decision. – As indicated above, genetic engineering is meant to eliminate flaws in humanity’s genetic makeup. Consequently, those children that were genetically modified before birth will probably emerge healthier on average than a normal baby. Geneticists will be able to target specific genetic defects and get rid of them before the child ages. Consequently, certain hereditary problems, like baldness, can be weeded out. – Along the same lines, genetic engineering can get rid of problems in already living humans by ‘activating’ certain processes in their cells that were previously absent. For example, gene therapy could be used to trigger the body to create sufficient amounts of insulin in diabetics. 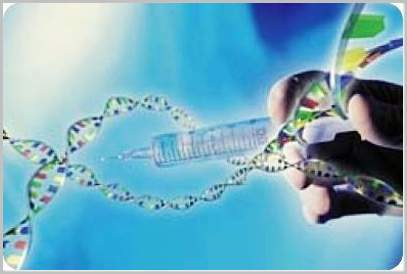 – Genetic engineering can also be used to move humans above and beyond their normal restraints. Genetically engineered humans can be made tougher, faster, stronger and smarter. This is, in effect, a laboratory-crafted evolution of the species. – Genetic engineering can also allow parents to, in essence, custom make their baby. If these parents want a child with green eyes and red hair for example, they can have it done. This can also be used to eliminate superficial traits parents may perceive as flaws, such as overly large or small ears, noses or eyes. – Genetic engineering can potentially eliminate the age barrier, and allow humans to live a great deal longer. The lifespan of a body’s cells could be lengthened, and regeneration of those cells stretched by several years. It’s not likely that genetic engineering can grant any kind of immortality, but the possibilities are fairly broad. – Genetic engineering is currently a moral gray ground, as it delves into tinkering with the natural processes of the body. Is this a science humans should pursue? Presumably, from this standpoint, what nature gave us in the first place should be good enough. – Genetic engineering also raises the question of compliance. Genetically altered babies will have no say in what’s being done to their bodies before birth, and consequently will have to live with whatever happens as a result of genetic tampering. This is particularly important should the gene therapy somehow go wrong, and the child turn out worse off than if it had been birthed normally. – Hinted above, genetic engineering is still a fairly untested science. Much of it is still theoretical, and as with most theories things can go wrong – though in the case of genetic testing, the problems will appear in humans. Such risky science, some argue, shouldn’t be touched in the first place. – Genetic engineering has the potential to create schisms in society above and beyond politics and wealth. It’s likely that only the wealthy will be able to afford gene therapy, at least at first, and the resulting ‘improved’ humans could be seen as a species above the rest, or perhaps even perceive themselves as such. This could result in some fairly radical class wars, and a great deal of resentment. – Genetic engineering’s ability to expand life has a drawback in that it can cause overpopulation. The Earth is already showing the strains of supporting too many people at once, and preventing natural death can have serious implications for employment, living space, food and energy sources and much more beyond. What’s our planet’s breaking point where population is involved? Convinced one way or the other? Needless to say, the argument over genetic engineering isn’t going anywhere, especially with the increased use of the science on other elements of the world. To remain abreast of the latest in biotech and genetic engineering, check out Genetic Engineering and Biotechnology News.